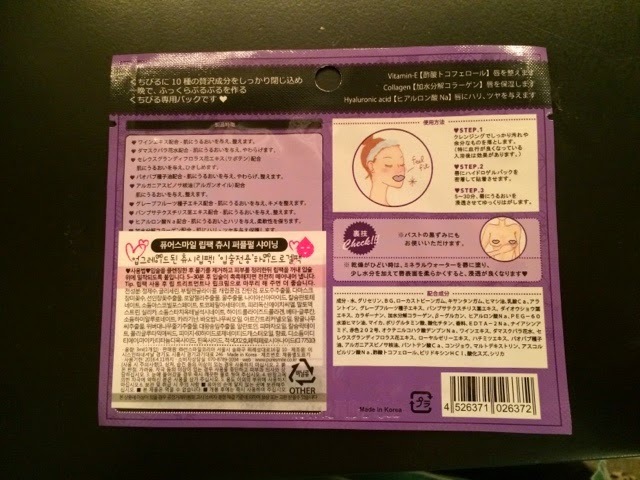 Half Past October: I Got My K-Beauty Fix at KCutie! 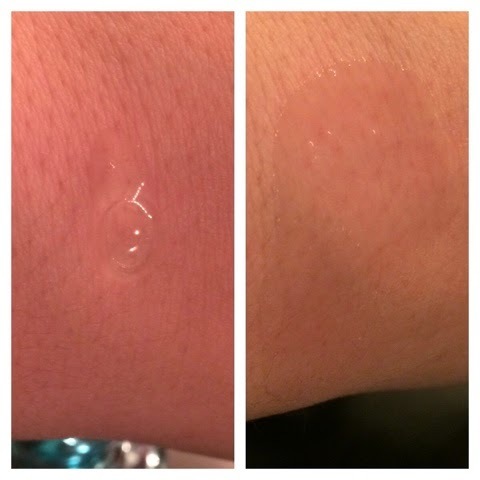 Product Review & Giveaway! I Got My K-Beauty Fix at KCutie! 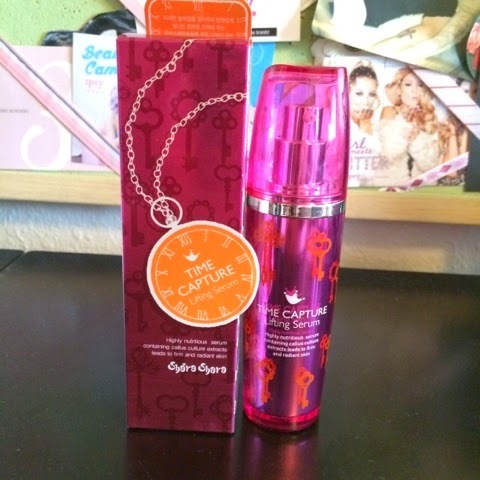 Product Review & Giveaway! Korean beauty trends are becoming more popular all over the world, and while some of us are already in love with the amazing results received from unique and innovative ingredients or the uber cute packaging - others may be wondering what the heck we're so excited about. I personally am super excited to tell you all - k-beauty lovers of old and new - about a new shop shipping to the United States and Canada called "KCutie." Out of a true passion (and addiction) to Korean and asian beauty products, we bring you an alternative for those times when you need a true KBeauty fix! 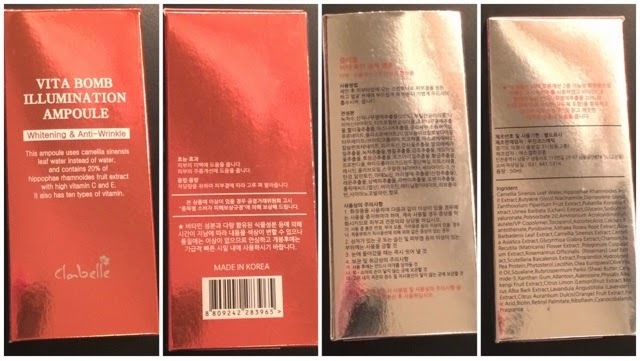 At KCutie.com we are committed to providing our buyers with the best Korean beauty brands and products, straight from Korea. We only sell authentic products, purchased directly from brand companies. If you have any comments, suggestions or requests, we want to read them! You can fill the form under the "Contact" tab on the navigation menu. Thank you! KCutie ships products from the US and from Korea, and each product in their store mentions where it ships from. Their prices are competitive, and they charge actual shipping costs (not a hiked-up estimate). KCutie sent me a few products that they carry to try out, and I am so excited to share them with you! The following products all ship from the US. Cleopatra, the Queen of Ancient Egypt, known for her stunning beauty, took her daily baths in Asses' milk. As a legend says, more than 500 donkeys were required for this. Donkey milk baths are very effective in moisturizing the skin. Can be used on dry or damaged skin. After just a few days' use, the results will amaze you! 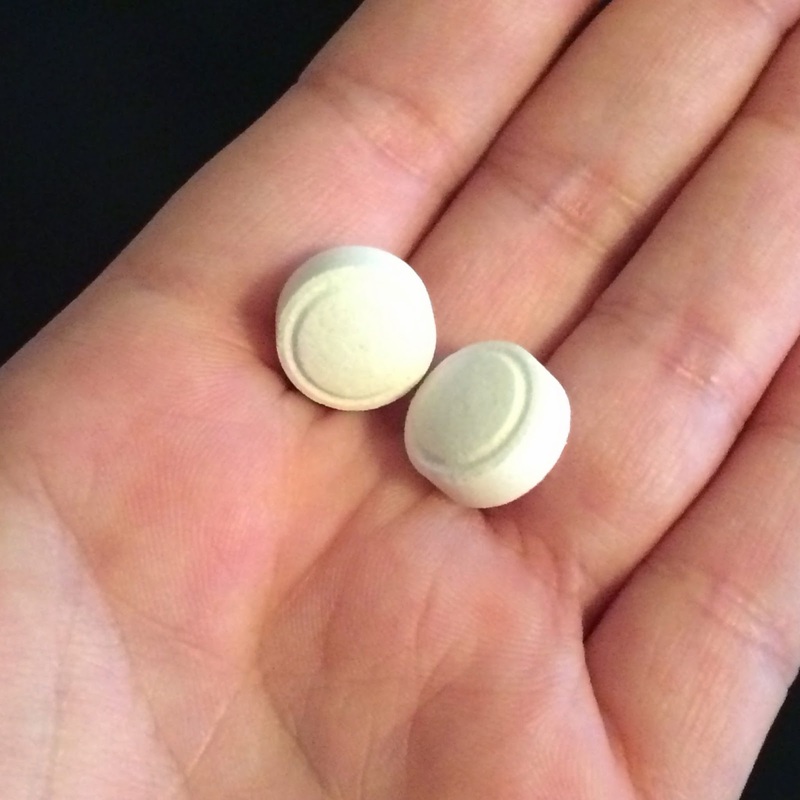 These tablets smell like sweet cream, and fizz up when tossed into the bathtub. Not only are they fun to watch and smell, but they leave your skin as smooth as butter. This product is amazing and I don't think I will ever take another bath in my life without them. These come in a bag of 20 tablets and I use 3 per bath, so this will last a while considering I most often take showers. 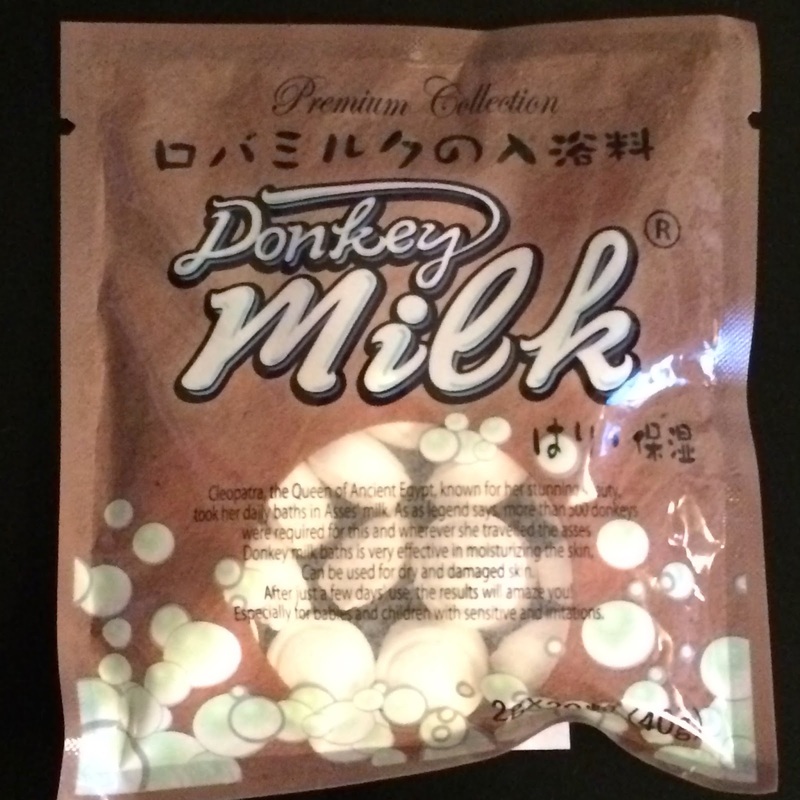 These Donkey Milk tablets currently cost $7 at KCutie. Whitening & Anti-Aging: This ampoule uses camellia sinensis leaf water instead of water and contains 20% of hippophae rhamnoides fruit extract with high vitamin C and E. It also has ten types of vitamins. 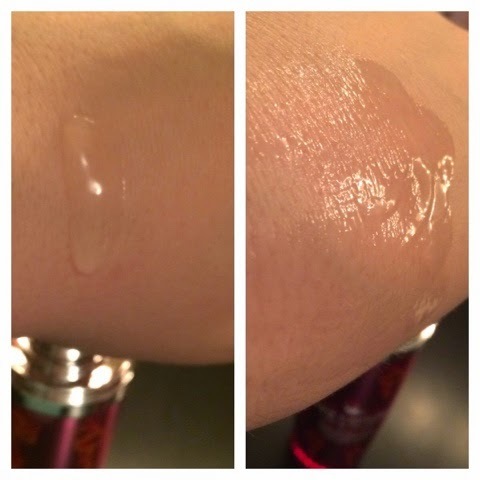 How to Use: After toner, apply appropriate amount to skin until absorbed. Follow with moisturizer or sleeping pack. 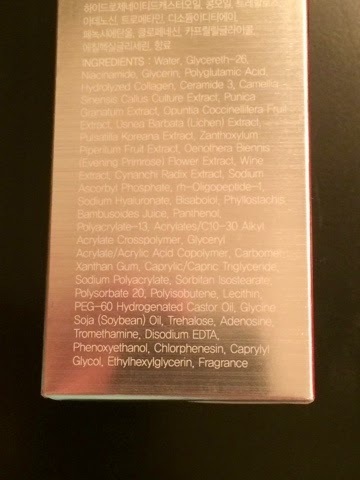 This ampoule has a nice composition of ingredients. 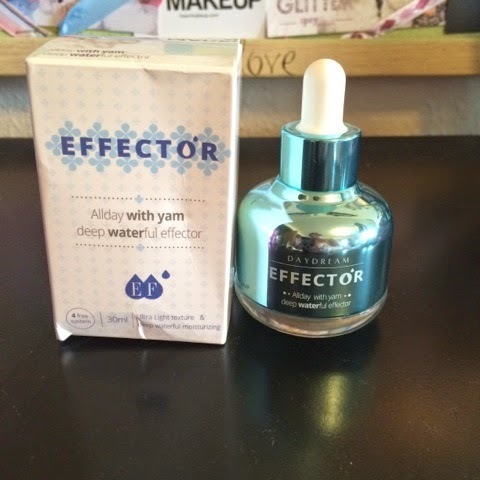 There are a couple low-risk irritants and potentially comedogenic ingredients, but as easily as I break out, I experienced no trouble with this ampoule and found it really improved my skin texture and tone. This ampoule very much reminded me of a gentle vitamin c serum. While it contains vitamins C, E, B3, A, H, B2, B5, B6, B9 & B12 - it smells of citrus and has a light orange tint to it. After using this ampoule after washing and toning my face - morning and night - for a few weeks now, I've noticed that it has lightened most of my sun spots and acne scarring. 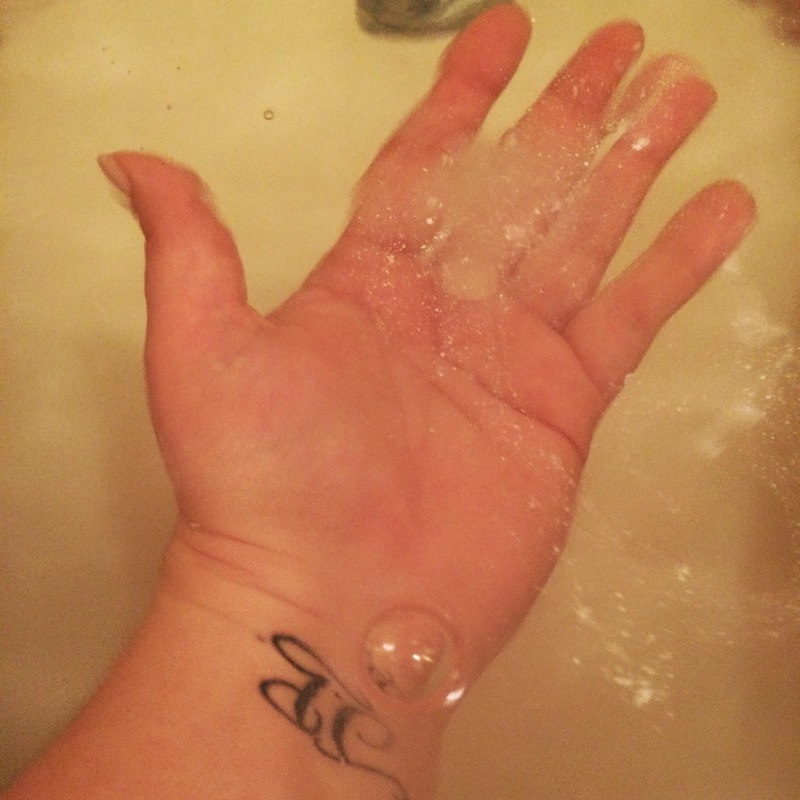 It has the consistency of water, absorbs quickly into the skin, and doesn't leave any type of stickiness on my skin. It really is the perfect vitamin c serum for routine care and protection. 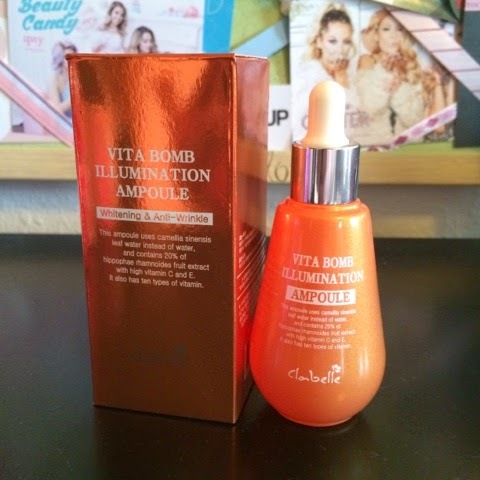 The Vita Bomb Ampoule sells for $19 at KCutie. High nutrition skin care system: For vibrant healthy skin with highly concentrated Kerurosu tea extract. Multi-care: for your skin EGF peptide component to help strengthen the skin. Brightening care Helps achieve brightening of dull skin. Water capture system: Complete, light, skin moisturizing system filled with water to penetrate skin smoothly without weight and stickiness. How to Use: After washing your face, prepare the skin texture with toner, take an appropriate amount, apply until absorbed. 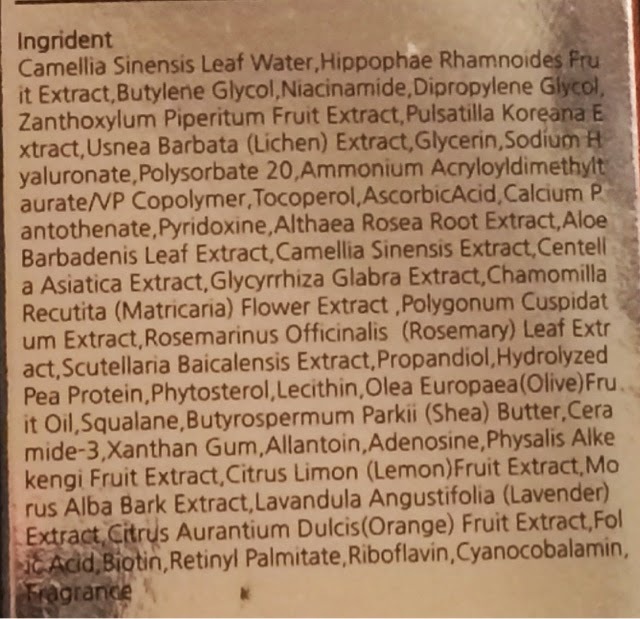 The ingredients list of this lifting serum is very impressive. There are no known irritants are comedogenic ingredients in this product, which make it perfect for sensitive and acne-prone skin. This serum has a light gel consistency straight out of the pump, but it spreads onto the skin very easily and absorbs very quickly. This serum does not give much in terms of moisturization, but it really does give a lifting effect to my skin. I do not use this serum on my entire face, but on the areas that I worry about or currently experience slight sagging or wrinkles - like my forehead, my cheeks, and my neck. This serum has smoothed out my fine lines on my forehead, has seemingly made my cheeks less "flabby," and has greatly diminished my harsh deep wrinkles on my neck (I call these deep wrinkles my neck creases, they are still noticeable, but to me they are noticeably reduced). This is a must-have item for me now. The Shara Shara Time Capsule Lifting Serum sells for $35 at KCutie. Ultra light texture & deep, waterful moisturizing. 4 free system. I was unable to find an English translation of this product, but having a slightly sensitive and very acne-prone face, I can say that I did not have any type of reaction or break-out related to this product while using it. This ampoule is very thick and sticky. Not uncomfortable, but this is a thick and almost heavy ampoule. It provides a lot of moisture that does last all day. With my oily skin it is enough of a daytime moisturizer for me. I like to use this ampoule at night since I don't have a good night cream. I apply this ampoule after all my other serums, and after roughly 10 minutes for absorption (and your face may still feel tacky after that), I massage in a moisturizer and my face feels plump and hydrated in the morning. This is an excellent moisturizing product for all skin types. 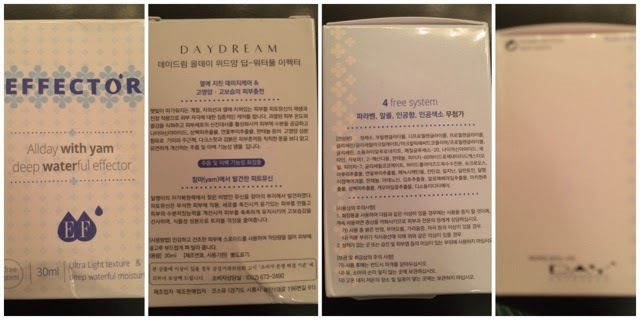 The DayDream Effector ampoule sells for $18 (currently on sale for $15) at KCutie. Pure Smile Choosy Lip Patch contains Vitamin E Collagen & Hayluronic Acid. Use it for 5 - 30 mins greatly reduces fine lines and leaves your lip moisturized. Your lip is pumped with moisture just after 1 use. 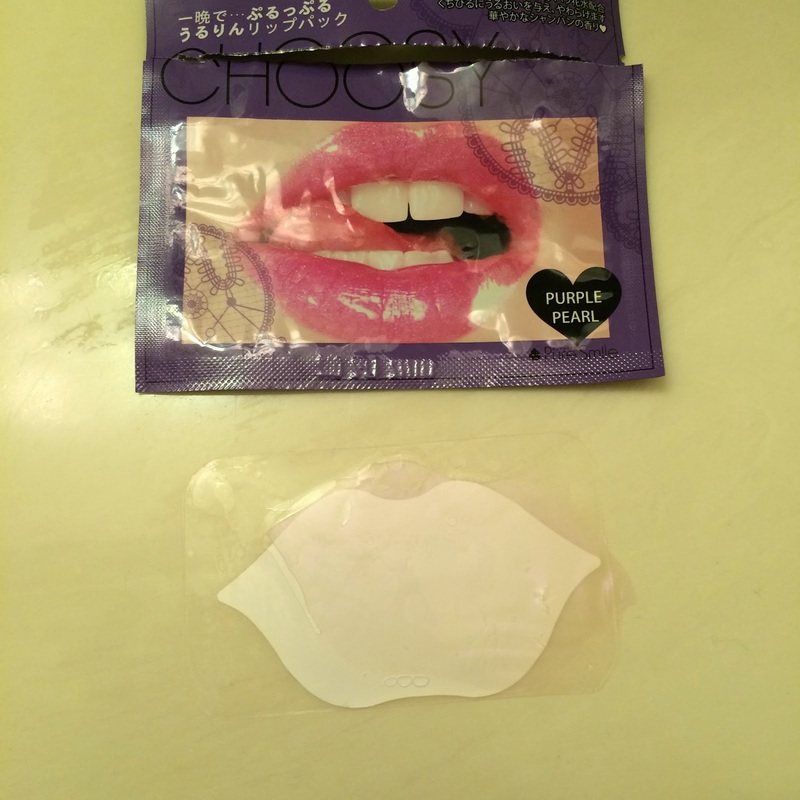 This mask comes in a little plastic sheet so it doesn't bunch up in the packaging and is easier to take out and apply to your lips. As you can see, the mask has a shiny pearlescent purple tint to it, and covers a large area outside of my lips, which I honestly don't mind, because - hey - more moisturization, right? This is an After photo (because apparently I was too excited to use this mask to take a Before photo - oops!) and as you can see, my lips plumped up nicely after using this mask. 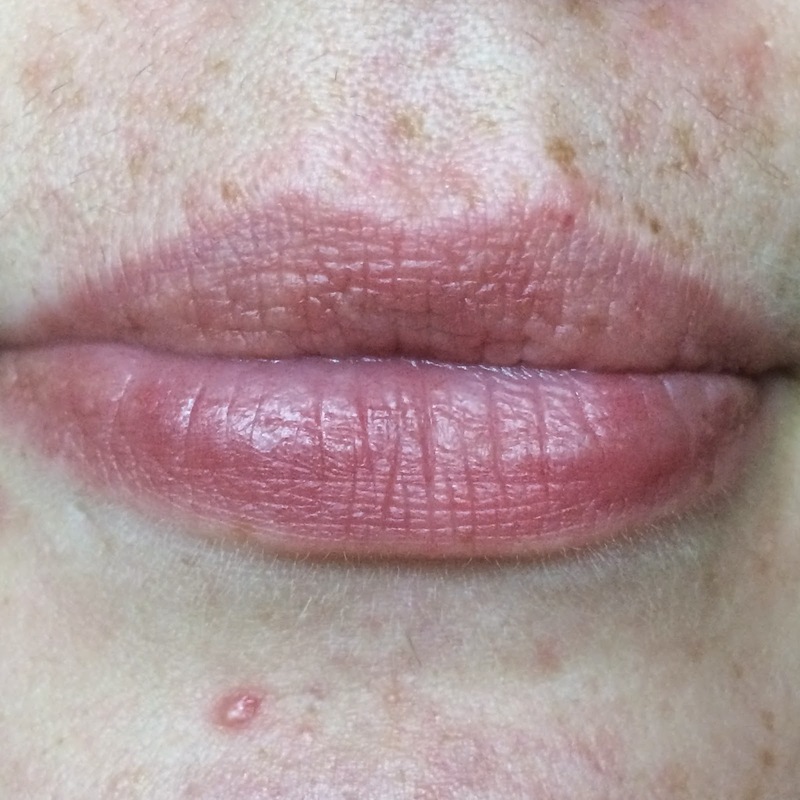 My lips were very soft and felt smooth. I have very dry lips that peel often, so to have such amazing softness from just 30 minutes of wearing a mask was truly amazing. There are five different colors of in mask series (there are five more in their regular series as well). I tried out the "Purple Pearl" gel lip mask. 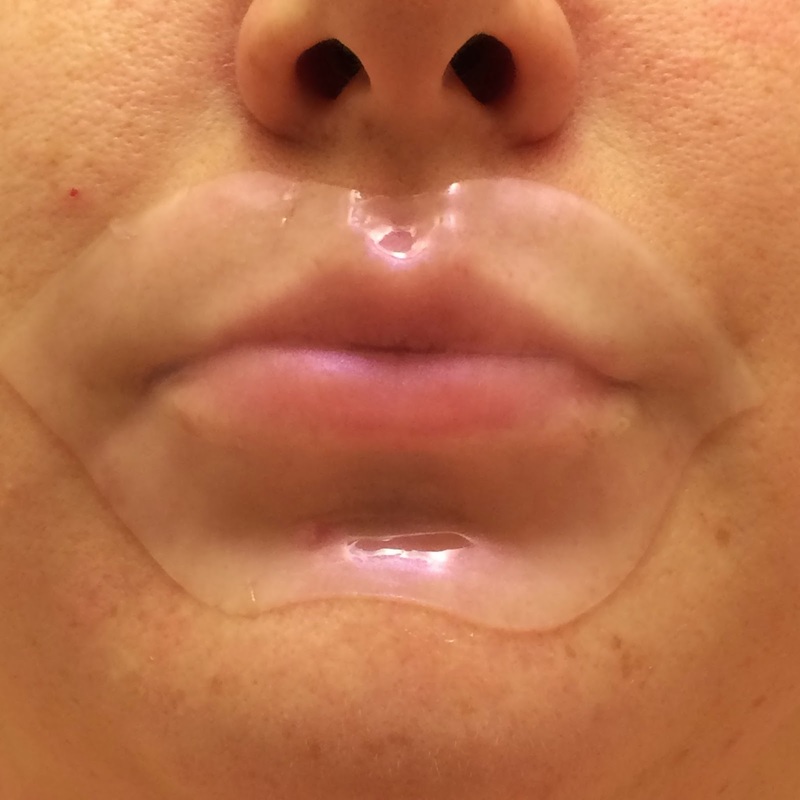 You take the gel mask out of the packaging and apply it to your lips for 5-30 minutes. These masks are packed with hyaluronic acid to boost elasticity and radiance, collagen to help retain moisture, and vitamin E to condition the skin. These masks also contain peach extract, honey, pomegranate, ceramide, and jojoba oil. The gorgeous series Choosy lip masks sell for $3.50 (on sale for $3) at KCutie. The standard series Choosy lip masks sell for $3 (on sale for $2.50) at KCutie as well! This is a nice bb cream in a unique compact. 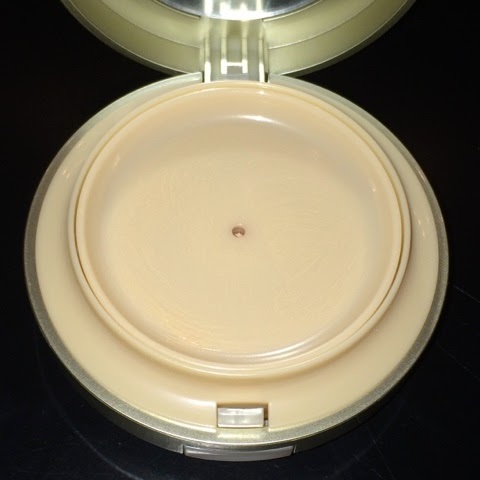 Instead of being in a sponge that you apply with a puff, the bb cream is housed inside the compact and you press down on the inside to dispense some of the foundation through the center hole. You may then use a puff or a makeup brush to apply the bb cream. I love this compact because it dispenses what you need and once you use it up you are left with a clean surface - you do not keep dipping into your foundation with a dirty sponge. I find this compact to be super easy to use, much more sanitary than traditional compact foundations, and very affordable as well! The formula itself has also become one of my favorites. The shade blends nicely into my light skintone, providing natural coverage that evens out my skintone and hides redness and imperfections without the addition of concealer. 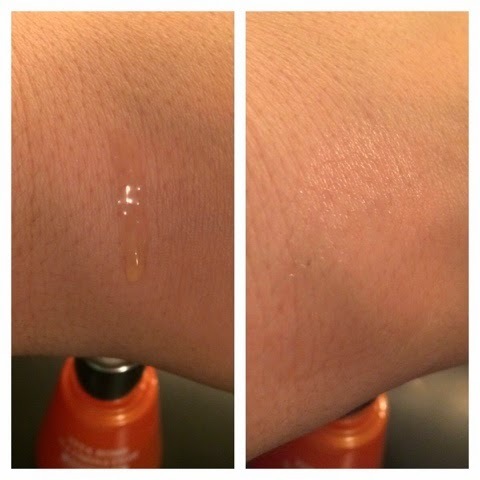 This bb cream also lasts all day, and barely moves much underneath my glasses. 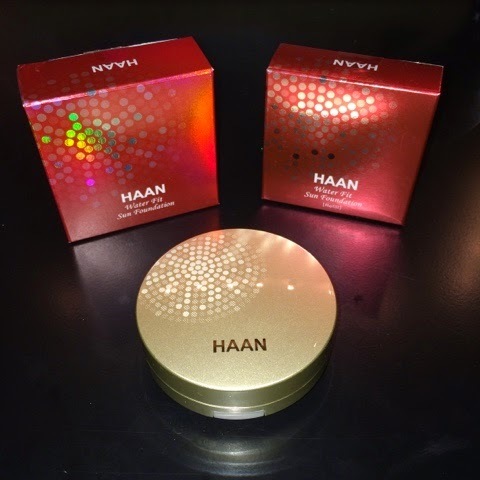 The Haan Water Fit Sun Foundation compact includes a refill and sells for $19 at KCutie. 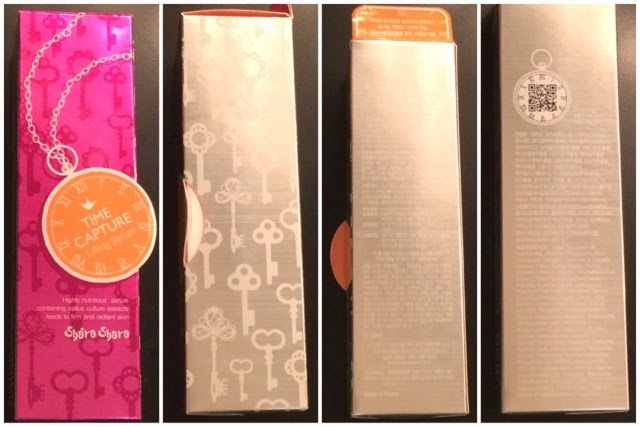 KCutie offers an excellent selection of korean beauty products and they really took their time making sure to find the best products that deliver the greatest results for their customers. Right now, if you sign up for their newsletter, you will receive a coupon good for 15% off your entire order! If you do take advantage of this amazing sale offer, I'd very much appreciate the use of my affiliate link. Make sure you follow KCutie on their social media outlets to get the first word on exclusive sales and promotions! What do you think of the products I tried out? 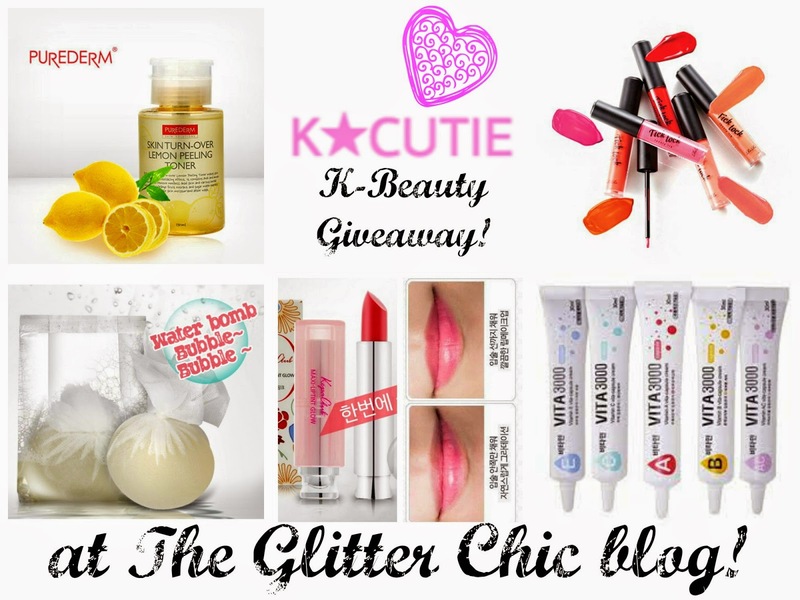 Interested in trying some cute k-beauty goodies yourself? Giveaway is open to residents of the US and Canada, age 18+. Please see full terms & conditions on the giveaway form below. I think I would like the Shara Shara lifting serum! Thwe mini bath bombs would be awesome, I love living in my jetted tub! I think I would love the Rire Tick Tock Lip Gloss. Thanks ! they have a great selection! do they ship to Europe as well? What a terrific giveaway. The lip gloss looks terrific. Thanks for the giveaway. I like the Kepa Club Maxi Lip Tint Glow. I really wanna try the serum. Thanks.